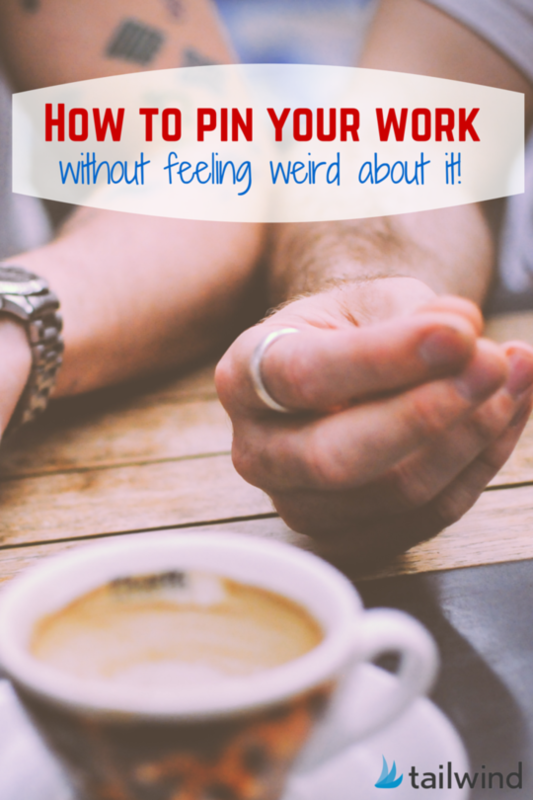 Sharing your work can feel weird or self-conscious, but it doesn’t have to! Pinterest can be a great way to get started for makers and image savvy creatives. There is no one right way to pin, so do what feels right for you. To help you get started this post will answer some of the frequently asked questions about sharing your own work on Pinterest. Everything you do for other people’s pins applies to your work too. That means you’re already experienced at this and are already on your way to having great looking content on Pinterest. The most important part is to create detailed descriptions that are keyword rich. What works best on many accounts are descriptions that capture what the pin will help others with. Aim to use short phrases that are conversational instead of technical. If you’re stuck, think about what you would say if you had to ask a friend to search for it online. Make sure you carry put that inspiration into image creation if you’re making new images that lead to your finished work. Pin descriptions can be short or long, but a happy medium of about 300 characters seems to perform well. If you aim for longer than a tweet, or how you might describe the pin in a blog comment, you’ll be on track. You can also put descriptions to work by crafting ones that other people will prefer to keep rather. Since many users don’t change pin descriptions at all, aim to use that and make sure yours don’t force users to edit. Since you have more control over your own work, you can also name your pinnable image intentionally. Choose a name that uses keywords that describe the pin and what it links to. While Pinterest is visual to use, it’s still a search engine and it will considers the image file name as a source for keywords. Some brands have dedicated Pinterest boards for their products. If you like your work all in one place, then more power to you, but you don’t have to keep your original pins seperate from the rest of what you share. For small brands and individuals it’s worth testing to see how content performs on it’s own board, and with other similar content. This is worth checking because some users follow specific boards instead of entire accounts. If you have more people following your boards than your account, readers could miss your work if it’s seperate. No matter what your approach, keep trying new things, mixing it up and seeing what works for you. When you’ve been on Pinterest for a while, you’ll start seeing a message when you’ve pinned something already. What many users don’t realise is the message is just a notice – it’s not a warning that you’re doing something wrong. It’s fine to post things many times to the same board, or to other boards on your account. As a creator that can be a big relief! If you pin to group boards and have been feeling limited about how to do that, please consider this your permission slip to re-pin your work. The key to pinning to the same board again is timing. Space out the content you’re re-pinning so your followers get a mix of content, using Tailwind’s interval pinning and shuffle queue options. Remember, there is no one right way to pin so you get to experiment and find out what works for you. Keep checking your results and trying new things and you’ll be farther than you thought you could be in no time.